Greetings & Sawadee Khrup! 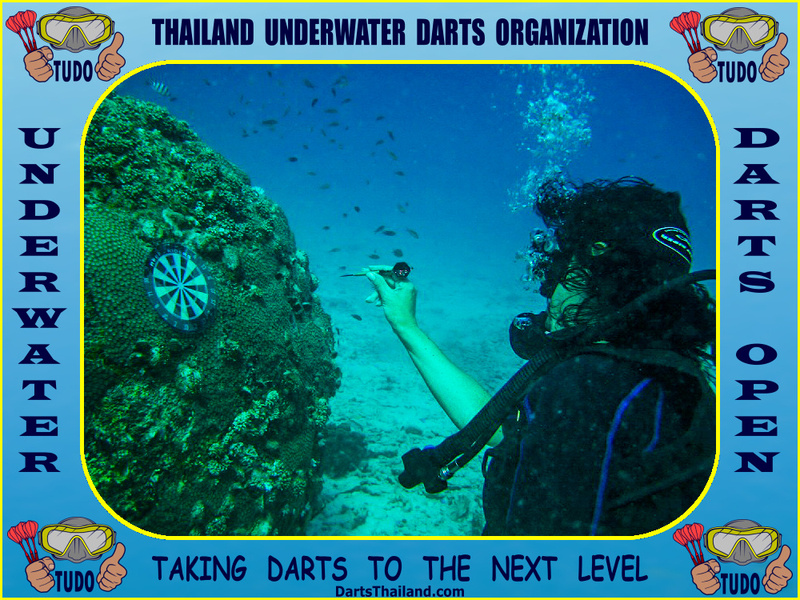 My name is Leo Phirenth, president of TUDO – Thailand Underwater Darts Organization. We’re taking darts to the next level! First time you’re hearing of underwater darts? It’s the most exciting innovation ever to the game of darts attracting thousands more players world-wide every day. Who will be the first Underwater Darts Superstar? Will it be you? TUDO had its beginnings off Ko Phangan a Thai island in the Bay of Thailand – where the first organized match took place. It was a spectacular success and popularity quickly exploded with new clubs and leagues – first throughout all islands in the bay and soon afterward to Phuket and the Andaman Sea area. Find any dive centre in Thailand and they can direct you to the nearest club and league. 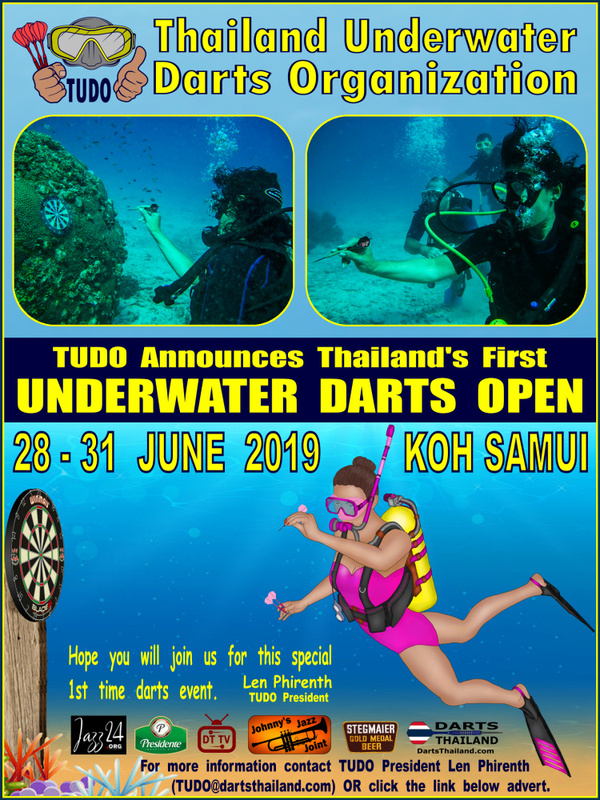 As president of the “Thailand Underwater Darts Organization” I have the honor of announcing Thailand’s first Underwater Darts Open to be held 18-31 June 2019. 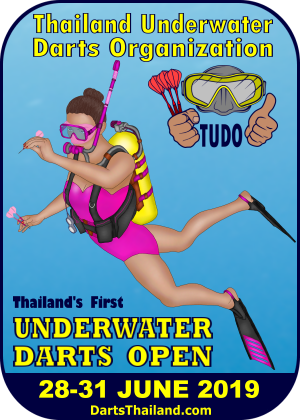 There will be the regular 4 person team – ladies – doubles and open singles events – BUT – doubled with two programmes – one at snorkel depth and another at scuba. All this plus the highest payout of any event. For more information or to download a registration form click the link below. ACT NOW and receive major discounts at nearby accommodations and popular restaurants and bars. Looking forward to seeing you at the oche below the waves and in the bars above the waves! 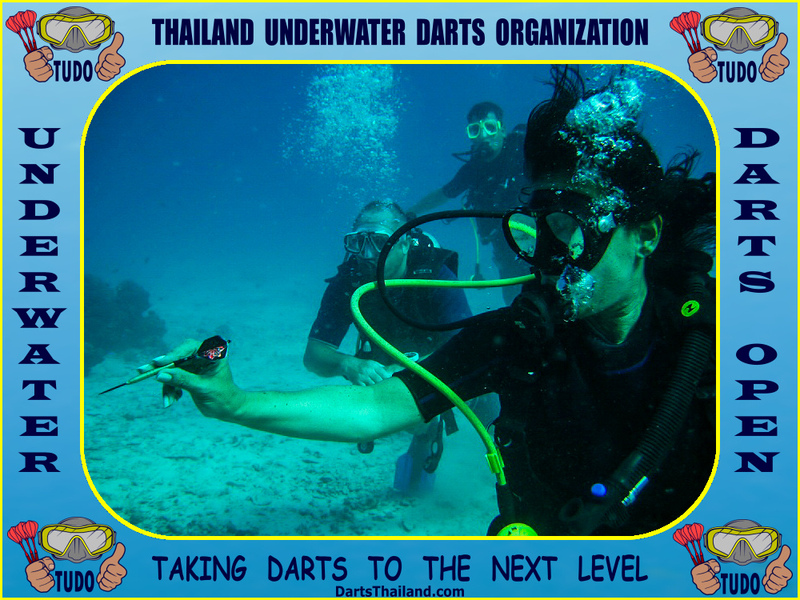 – Leo Phirenth – President of TUDO – Thailand Underwater Darts Organization.